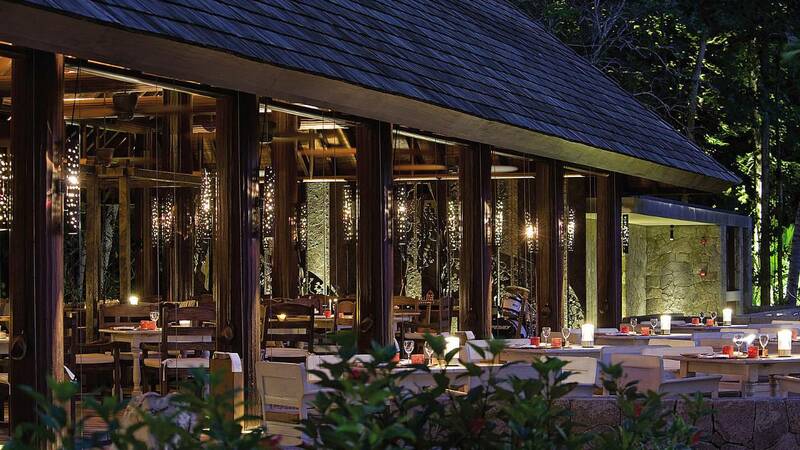 Enjoying the relaxed atmosphere of La Digue Le Domaine de l’Orangerie offers all day dining. Le Combava, which means kaffir lime, is an exquisitely designed roof terrace lounge serving à la carte food only. This epicurean delight serves up the finest meals using the freshest ingredients only, for an upbeat and sophisticated culinary experience. Serves popular international fare and local Creole specialties in eclectic mix live cooking style and buffet with the “Catch of the day”. The outside deck graciously overlooks the Indian Ocean and the crystal clear waters for alfresco dining. The breathtaking view of the sun setting over the Indian Ocean will whet your appetite, marking an exquisite and memorable dinner. Combining the best of the local culture and cuisine with dishes from around the world. Meaning ‘ocean’ in Creole, Losean is open for breakfast and dinner. It features regular themed buffets including colourful Mediterranean, Creole, seafood, and barbecue evenings with live entertainment. There is outdoor and indoor seating, and a garden view. Specialties include roast lamb on the spit, wood-burning pizza oven, whole fish, paella, and cookery classes for resident guests. Named after the nearby island, Curieuse this seafood restaurant offers a breezy, island-chic atmosphere in a relaxed and casual venue. It has outdoor and covered seating areas to keep you close to the beautiful environment and private pavilions available for romantic dinners. Indian Ocean seafood and grill, with meat specialties also available, and an international wine list; vegetarian diets and special requests always accommodated. 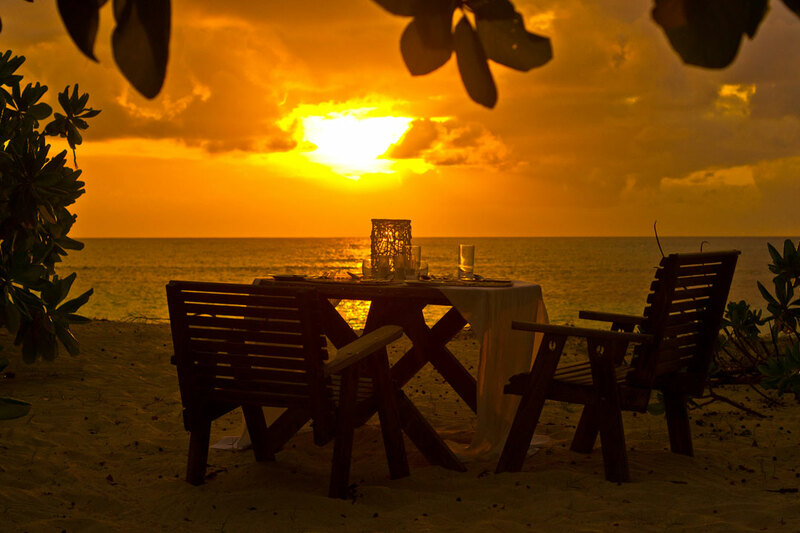 Whether it is breakfast in bed or romantic candle-lit dinner on the beach – the night sky your only roof, an intimate table for two on the deck of your own villa, or dinner in the terrace dining room, the refined cuisine of Denis Private Island is nothing short of tantalizing. The chef prepares daily the most succulent dishes, creative and extensive buffets with live cooking stations fresh from the island’s estate and fished from the surrounding seas for breakfast and lunch. 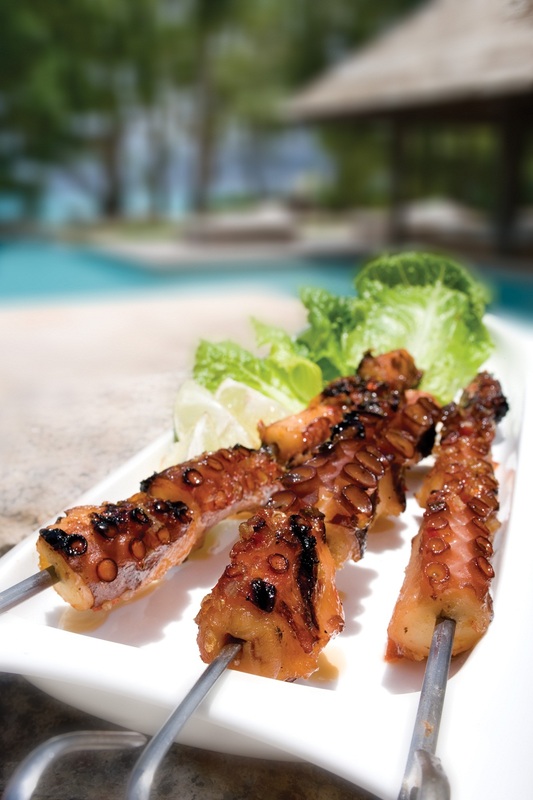 And in the evenings, Creole speciality night, barbecues on the beach, sushi and sashimi prepared from the day’s catch. Another highlight is the elegantly- presented five-course table d’hôte dinners in the dining room or around the pool deck. Before and after dinner, staying open well into the night, the well-stocked bar provides the meeting point for a tête-à-tête or to get to know your fellow guests. 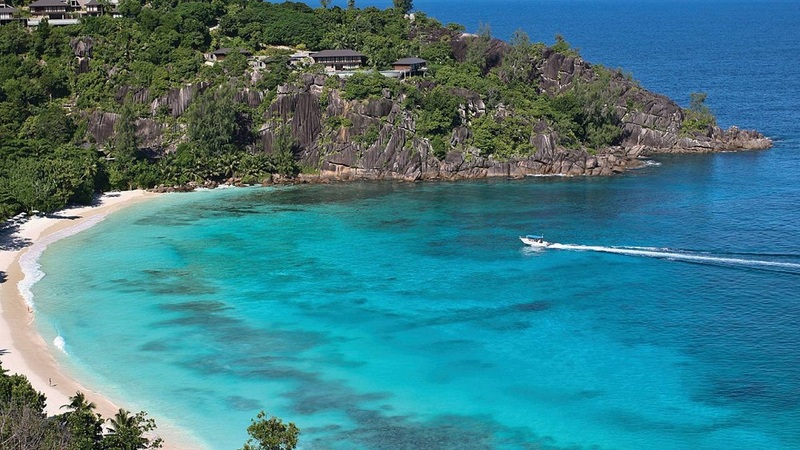 Constance Ephelia Resort of Seychelles has five restaurants and bars. Each outlet has its own individual concept, design and décor, thereby maximizing the possibilities in terms of culinary and bar experiences. Our little gourmets are also well catered for with different menus to appeal to different ages – including gourmet baby food. Corossol “Live” is the main half board buffet restaurant on South Beach. 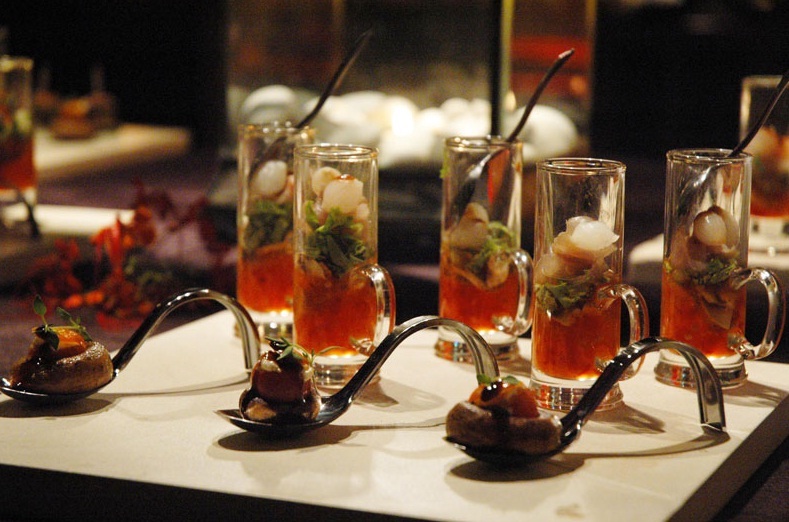 The main focus is the live cuisine creating interaction between the chefs and the guests. The buffet offers different sections – an Asian station with wok and Tandoori station, as well as Asian noodles, central station featuring a beautiful pizza oven, pasta station, grill and plancha, to name just a few. A casual chic restaurant on the South beach with its main feature being a large wood-burning oven. Open for lunch and based on a buffet service with influences from the South of France, Italy, Spain, Morocco, Lebanon, etc… Tapas, mezze, antipasti, are followed by thin and crispy pizzas, whole fishes and dishes baked in the oven in cast iron dishes. A wide range of creative pasta is also on offer. For desserts, “Helios” boasts a selection of creative ice creams and sundaes. Tea/pancake and ice-cream service from 15h00 to 17h00. Open for dinner for special evenings only. The à la carte restaurant on the South Beach. Its open kitchen offers a selection of creative salads, a large selection of skewers and quality meats and fish dishes grilled or cooked “à la plancha” in front of the guests. Another speciality of this restaurant is the “native” breads that are prepared and cooked on site and served with their local signature “chutney”. Beach Menu available between 12h00 to 17h00. Open for dinner for special themed evenings. Cyann is the “haute cuisine” restaurant of the resort, unique in its concept and design. Located at the bottom of the Hillside villas, this restaurant offers a beautiful view over Port Launay marine park. Casual chic for lunch, the restaurant turns into an elegant and refined venue in the evening. Cyann proposes a selection of signature dishes combining French culinary techniques with the lightness and flavours of local and Asian influences. 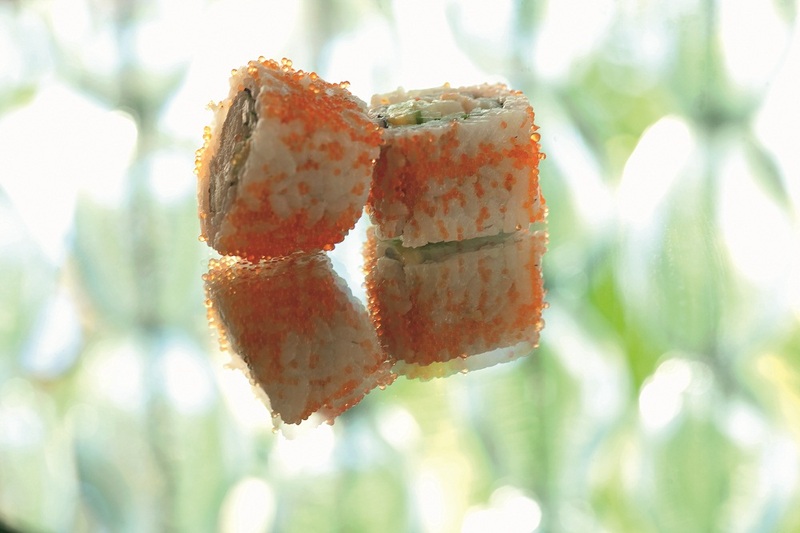 A sushi bar, situated near the pool, offers the best quality fish for lunch and dinner. The Chef’s table experience, allows guests to enjoy the action of the kitchen, as well as a specially created menu. Open for lunch from 12h00 to 15h00. Beach Menu available between 12h00 to 17h00. Open for dinner from 19h30 to 22h30. Casual all day à la carte restaurant on North Beach. Seselwa is a casual and popular outlet, with a lively ambiance and facing the gorgeous North Beach. Designed with white furniture and brightly coloured cushions, it evokes freshness and the festive spirit of Seychelles. Breakfast is served buffet style. 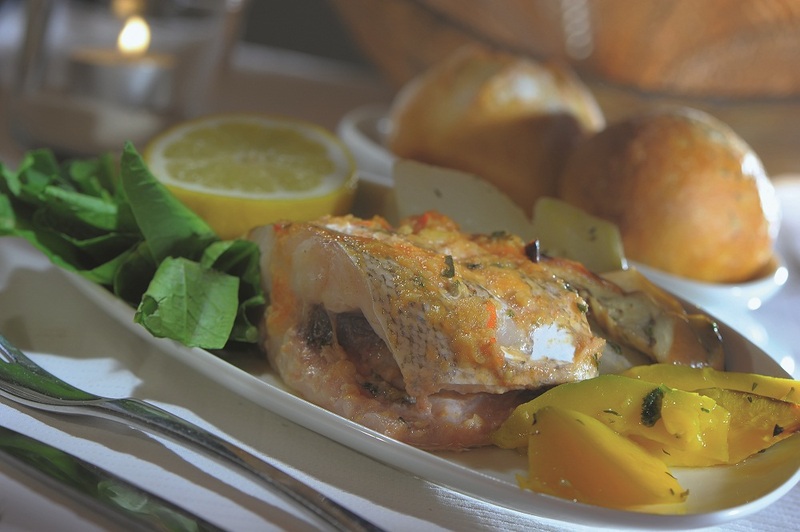 At lunch and dinner, Creole specialities are proposed and the freshest seafood is grilled in front of the guests on the central grill. Flavours of the Islands and the very best ingredients are the words that best describe the Seselwa culinary style. Open for breakfast on a buffet style with à la carte options. Open for lunch from 12h00 to 15h00. Beach Menu available between 12h00 to 17h00. Open for dinner from 19h30 to 22h30. Zez boasts spectacular ocean and sunset views from the top of the hillside. 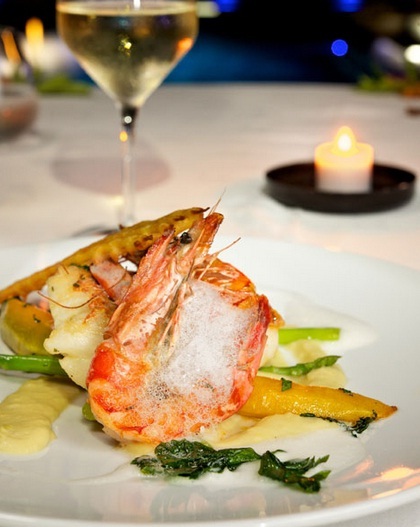 Dinner is a contemporary interpretation of intercontinental cuisine, as well as delicate preparations of local fish. Specialities to be found are Fines de Claires Oysters, Sautéed Foie Gras, Vanilla Glazed Lobster Tail and Premium beef. Stylish yet informal, Kannel serves Creole and international fare, featuring a variety of fresh fish and seafood. Enjoy its beach-side location, stunning open-air setting and spectacular views of the water. This year Elegant Destinations are celebrating 20 years of Mauritius luxury villa rentals from the start of the internet when Netscape launched its ground-breaking browser in 1993 to today’s quickening pulse of social media activity. 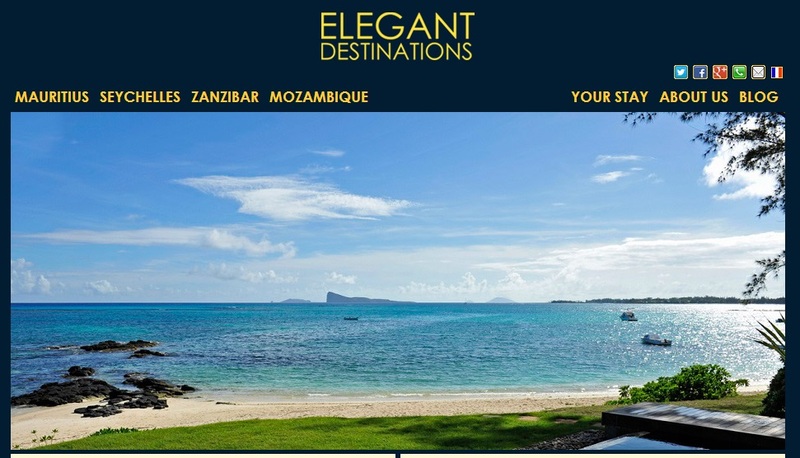 To celebrate this milestone Elegant Destinations has launched a brand new website www.elegantdestinations.com showcasing the best luxury villas and hotels in Mauritius, Seychelles, Zanzibar and Mozambique.For two decades the co-founders Hans and Julie Gauthier have hunted for and deliberated over the best villas and hotels across the Indian Ocean region. The seeds of the villa rental idea grew after the development of a family plot among the swaying palms in Trou Aux Biches. Some of their clients have been with them along the whole stretch of the journey and this niche business has grown through their clients’ loyalty and spontaneous recommendations to their friends. .The new website offers a superb selection of quality properties known for their locations, excellent service and culinary delights. In Mauritius there is a huge choice of hand-picked villas: resort villas from the stunning Four Seasons and Le Touessrok villas to the beach villas of le Paradis and Trou Aux Biches and the golf estates of Anahita and Heritage. Exclusive designer beach villas like Villa One 4-suite pool villa in Pointe Aux Canonniers and Cape Blue exclusive 5-bedroom beachfront villa in Cap Malheureux. In the luxury villa category Villa Athenee voted one of the top 10 best beach villas by Condé Nast Traveller and Island Villa L’Ilot a real private island offering a privileged and unique stay. There is also an array of beach bungalows which offer the more budget conscious an excellent base for that family beach holiday. All around the island there are also contemporary beach apartments from the desirable Cape Point in Cap Malheureux in the north to the recently opened Esplanade in Black River on the west coast. For the Mauritius hotels there is a hand-picked portfolio of the best luxury and boutique hotels whether for a golf trip with friends, a family holiday or a romantic escape. 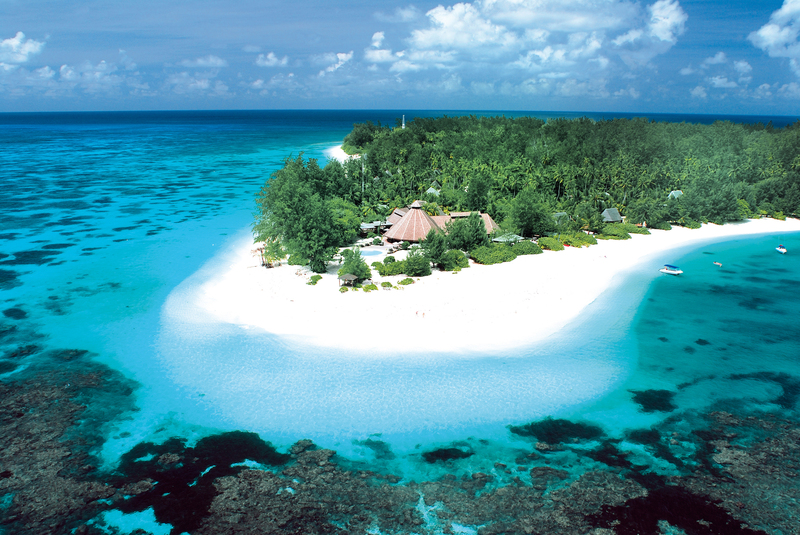 The Seychelles portfolio includes the best luxury hotels in the archipelago from the gourmet delights of Four Seasons Seychelles to the barefoot luxury of Desroches. 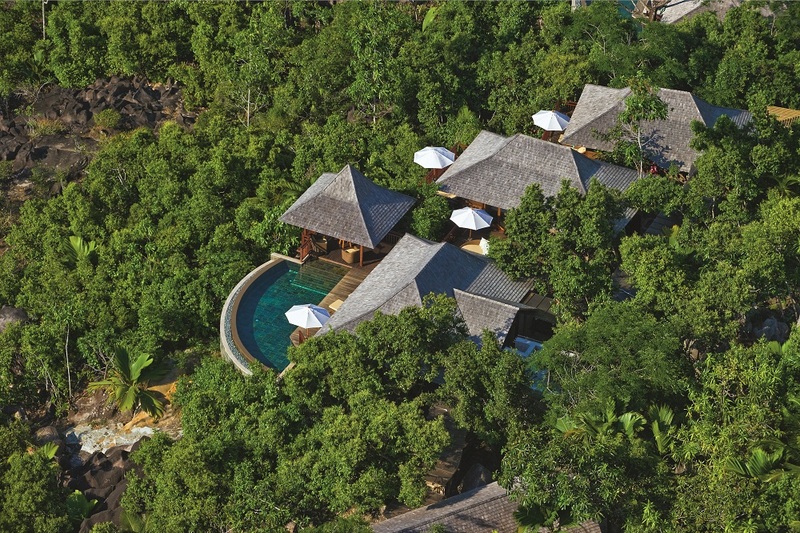 Some of the most popular pool villas have also been included like the 4-bedroom Li-Al-Do Maison on Mahe. Zanzibar is a new destination with a choice of luxury villa resorts like Essque Zalu an all pool villa resort and the romantic spa resorts of The Residence and The Palms. All the private villas offer original experiences from the loft style beach chic of Upendo Retreat to the eco credentials of Milele Villas. Mozambique, another new destination, offers a delightful Indian Ocean adventure. Hidden gems like Azura at Quilalea with Mozambican butler service and superb spa, Azura at Benguerra designer modern chic with a traditional twist and the exclusive Vamizi Island. From Santorini-in-Africa to Pambele these villas offer all inclusive fully staffed luxury accommodation with stunning beaches. Hans Gauthier, Managing Director and Co-Founder is delighted with the launch and spends much of his time keeping an eye on the future of travel in the region and looking forward to sharing his excitement of these developments with their clients. The focus of Elegant Destinations has always been a family company with very personal service and all requests always tailor-made as if they were their own holidays. Elegant Destinations has been an online travel specialist to Mauritius and Seychelles since 1993 and has established a reputation as one of the Indian Ocean luxury villa pioneers. Their hand-picked portfolio of villas and hotels reflects the varied culture and true excitement of this region offering you their expertise and inspiration as well innovative ideas and a high level of personalised service. During my recent stay at Sofitel So Mauritius I had the delight to visit and enjoy the spa acclaimed to be the best in the Indian Ocean. I simply had to try it for myself. Lush vegetation, a turquoise lagoon, quietly flowing stream…Sofitel So Mauritius stands on the south coast of the island in one of nature’s most glorious settings. I had a guided tour around the spa facilities and was seduced by the idea of a spa in luxuriant tropical vegetation; where they use ancient traditions from around the world mixed with the refinement and skill of the latest French cosmetology. I felt a window in my busy agenda was calling me to rid myself of the stresses and strains of daily life and I could awaken my senses. I modestly booked a long overdue facial and found myself in for 90 minutes of pure pampering. I must say at this point I did consider the Claret Coquet Method … An acupuncture natural lifting therapy with hundreds of gold needles but felt I would just go for the “nourish my body, nourish my soul”. I loved the idea of the seasons, organic ingredients and the Chinese therapies; I was not disappointed. The treatments were presented in a typically French manner as a gastronomic menu and I want to share them with you. Follow the season beauty biorhythm. Interesting they call Mauritian Summer Season from Oct to March and Tropical Summer from April to September. I was recommended the latter and followed Premila to a very private treatment room with its very own changing room with shower, basin and toiler. No need for lockers and robes. The decor was bright and fresh, lots of white with a bit of wood and lots of daylight and tropical foliage. As I was lying down with my eyes closed most of the time, this is all I can recall. Premila examined in French every step of the treatment… From the various processes involved in the facial to the Chinese massage of my arms and the massage of my feet. During the 90 minutes I was fascinated and entranced by the whole process. I wondered how I would feel and look afterwards.